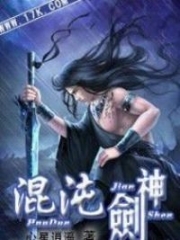 You’re reading novel Chaotic Sword God Chapter 101 - Ten Thousand Immunity (Two) online at LightNovelFree.com. Please use the follow button to get notification about the latest chapter next time when you visit LightNovelFree.com. Use F11 button to read novel in full-screen(PC only). Drop by anytime you want to read free – fast – latest novel. It’s great if you could leave a comment, share your opinion about the new chapters, new novel with others on the internet. We’ll do our best to bring you the finest, latest novel everyday. Enjoy! Jian Chen stripped off all of his clothes, and jumped straight into the blood-filled cask. At the same time, he retrieved the snake gall from within the jade bottle, and directly swallowed it. Not long after the gall entered his stomach, Jian Chen immediately felt a surge of activty from his five senses within his body. His stomach began to grumble loudly against his will, as if he was currently having diarrhea. Jian Chen sat cross-legged within the cask. The blood in the cask submerged everything up to his neck, leaving only his head exposed outside. Feeling the ice-cold air emitted from the blood, Jian Chen gradually relaxed. He closed his eyes, and began to absorb the unique genes from within the blood, following the procedure he had read in books. It was because of the existence of these unique elements within the Silver Striped Golden Snake’s blood that gave the blood its ability to detoxify poison. According to the books, one must absorb all of these unique elements within the body, and then fuse them into their own blood in order to gain an unpoisonable body. The blood would support the body, and grant one’s flesh an overpowering ability to resist poisons; the ability was so powerful that one could even become completely immune to poisons. Once the Silver Striped Golden Snake’s blood was used to refine the Ten Thousand Immunity, one would be entirely immune to any poisons weaker than the Silver Striped Golden Snake’s. One would even gain the effect of being able to strongly resist poisons at the same level as the Silver Striped Golden Snake’s (although one cannot be immune to it). Thus, the amount of danger the poison would be able to inflict would be drastically decreased, or the spread of the poison would be greatly deterred. Although the Ten Thousand Immunity wasn’t immune to all the poisons that existed, it was enough to make Jian Chen excited. After all, the Silver Striped Golden Snake’s poison had widespread fame on the Tian Yuan Continent. There were just a handful of poisons more potent than the Silver Striped Golden Snake’s. Moreover, such poisons were extremely uncommon, and were as rare to see as the Silver Striped Golden Snake itself. Jian Chen sat cross-legged in the cask with his eyes tightly shut. His stomach continued to loudly grumble extremely loudly. If anyone was standing next to Jian Chen, they would be able to clearly hear the sound. Within Jian Chen’s stomach was something similar to a roaring sea; it was very stormy. At the same time, an extremely nauseating feeling arose from Jian Chen’s heart, and Jian Chen could barely stop himself from vomiting. “I guess the snake’s gall bladder is being dissolved; the bile inside is leaking out.” Jian Chen resisted the nausea with great difficulty. He inwardly recalled that the books had stated if one wanted to refine the Ten Thousand Immunity, aside from blood, the most important part was the gall bladder. Both the gall bladder and the blood were essential components, because the blood’s poison-resistant special elements could only be absorbed into one’s body by being drawn in by the gall bladder. These poison-resistant elements weren’t like World Essence that could be absorbed whenever one wanted to. If one didn’t have the appropriate object to draw them in, then even if one had the blood, they wouldn’t be able to absorb the elements. Although directly drinking the fresh blood could also detoxify the poison, this could only temporarily address the issue. Not long after, a simple trip to the toilet would drain the consumed blood; there was no way one could even think the way to obtaining an unpoisonable body would be like that. At that moment, a warm current suddenly appeared in Jian Chen’s abdomen. The warmth continued to increase, and in that instant, Jian Chen felt like his abdomen was burning, as if a fire was blazing within it. Along with this abrupt uprising of changes within his abdomen, Jian Chen’s pores all opened, as if linked together. At the same time, inside of the cask, traces of that bizarre and special energy began to materialize like small fish within the crimson blood. They all began to gradually swim toward Jian Chen and enter his body through his pores. Just as this energy was entering his body, Jian Chen’s originally serene expression suddenly changed. The bizarre energy entering him instantly changed from being docile like a small sheep into a ferocious group of tigers. They wildly revolted within Jian Chen’s body, making his entire body suffer from intense pain. “This is bad, there are unexpectedly some magical beast’s unique berserk elements within this blood. Moreover, it’s even stronger than those within a monster core.” Sensing his body’s changes, Jian Chen instantly understood what was happening. All magical beast’s energies contained berserk elements; this was something that everyone in Tian Yuan Continent has known for ages. However, these berserk elements were almost all hidden within monster cores, so Jian Chen hadn’t expected that they would also exist in the Silver Striped Golden Snake’s blood. Moreover, these berserk elements were much more powerful than the ones that he had absorbed from monster cores during cultivation, perhaps even a hundredfold stronger. Jian Chen sat in the cask, his body beginning to shake as his entire body down to even his pores were in intense pain, and the muscles on Jian Chen’s couldn’t help but twitch. His originally flush face had gradually begun to turn pale. The traces of the bizarre and special energy within the snake’s blood seemed to be attracted by something, and continuously rushed into Jian Chen’s pores. As the amount of energy in his body continued to increase, the berserk elements contained within also increased, and became more and more powerful. The pain brought forth onto his body by these berserk elements made Jian Chen sweat profusely. However, he clenched his teeth and fists tightly, and continued to resist it. At that moment, the azure and violet glows in Jian Chen’s dantian suddenly emitted faint light rays. Meanwhile, the fierce pain Jian Chen was feeling suddenly disappeared without a trace. The berserk elements absorbed by him that had accompanied the bizarre energy within the blood seemed to have been attracted by some strange force. As soon as they entered Jian Chen’s body, they immediately began to fly towards the azure and violet glows in his dantian. For a while, Jian Chen was a bit at loss at the sudden changes. However, he soon realized what had happened, and immediately sighed in relief. He knew that every time he absorbed energy from monster cores, the berserk elements contained would also be ingested by the azure and violet glows in his dantian. Therefore, there was nothing strange about what had just happened. Without the torment of the berserk elements, Jian Chen’s previously pained expression immediately loosened. However, he still didn’t relax from this, and immediately surveyed the current situation his inner body was in. The only thing he could sense was the special elements. The berserk elements within the snake’s blood had been completely absorbed by the azure and violet glows in his dantian upon entering his body. There were only some harmless special elements remaining, and they were gradually gathering in the direction of where the snake’s gall bladder was. Eventually, they completely surrounded the gall bladder. The absorption of these special elements was extremely slow. Jian Chen stayed in the cask for an entire day and night before he was finally able to finish absorbing all of the special elements in the blood. Currently, the snake’s gall bladder in Jian Chen’s stomach had already gathered all of the special elements, and formed a thick layer. After a day and night of absorbing all of the elements within the blood, the blood in the cask not only lost all of its color and l.u.s.ter, even the intolerable smell of it had disappeared without a trace. 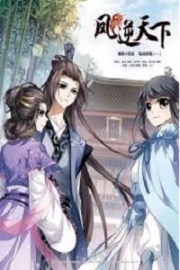 You're reading novel Chaotic Sword God Chapter 101 - Ten Thousand Immunity (Two) online at LightNovelFree.com. You can use the follow function to bookmark your favorite novel ( Only for registered users ). If you find any errors ( broken links, can't load photos, etc.. ), Please let us know so we can fix it as soon as possible. And when you start a conversation or debate about a certain topic with other people, please do not offend them just because you don't like their opinions. You're reading Chaotic Sword God Chapter 101 - Ten Thousand Immunity (Two). This novel has been translated by Updating. 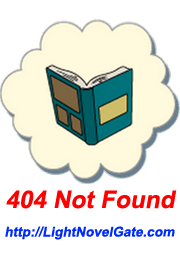 Author: Xin Xing Xiao Yao already has 12567 views. Current Time is Apr-23-2019 00:14:20 AM.